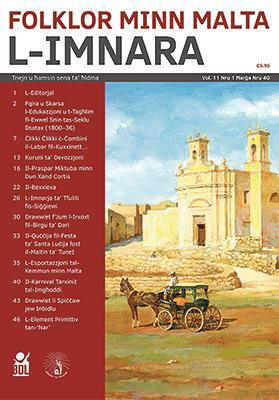 Up to a few issues, L-Imnara, the organ of the Għaqda Maltija tal-Folkore, used to be published in a primitive cyclostyled format that belied the importance of the valuable and original research it often carried. Its very recent transformation has certainly made it much more attractive, especially since now it can make full use of the technological advances that printing has undergone. More than ever it has become an item to collect and treasure and it also has been able to attract several first-rate contributors. 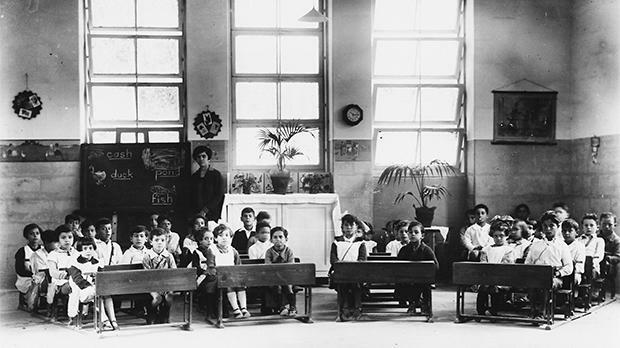 George Cassar writes about the primitive state of education in the early years of British rule. Schools of a sort were limited to the cities and practically out of reach for poorer students unless they desired an ecclesiastical career. Middle-class families sent their children to private schools run by individuals, like the school for girls run by Mrs O’Brian in Valletta, which cost 10s a month. On another floor of the same premises, Mr Noble, “a respectable businessman”, ran a school for boys. 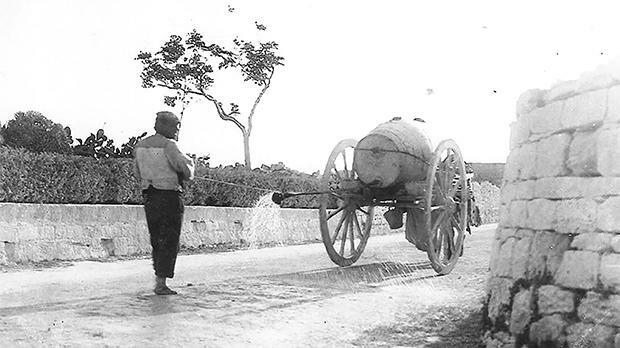 Cassar provides a wide-ranging overview of the educational situation in the island, which was still quite primitive. The royal commission of 1836 would urge the introduction of important reforms. Malta’s foremost expert on lace and its history, Consiglia Azzopardi, contributes an extensive study dealing with the general history of the subject. The first recorded reference dates to 1619. Lace of the coarser type was at first used in ecclesiastical circles and seems to have been mostly made in convents. It used to be thought that the British had brought teachers from Genoa to teach the craft of finer lace to young women. Dun Ġużepp Diacono was instrumental in developing this home-based industry in Gozo. In 1893 he opened an industrial school in Xagħra, which proved most successful. In the 1930s Lord Strickland reinvigorated the industry on a more professional level. The doyen of Maltese folklorists, Guido Lanfranco, des­cribes various particular types of devotional rosary beads as recounted to him by old people on a radio programme he used to host. These include rosary beads of St Michael, the Holy Wounds of Christ, the Franciscans, the Souls of Purgatory, Our Lady of Sorrows, the Holy Sacrament, and so on. Before his untimely death, Ġorġ Mifsud Chircop had done much to resurrect and analyse the short stories by Dingli-born Dun Xand Cortis (1856-1916) and published the definitive edition of the author’s work. His widow, Marlene, a student of folklore in her own right, provides a further analysis of the short stories with extensive annotations. George Cilia writes about the bexxiexa, which a few veteran readers must surely remember sprinkling local streets to dampen the dust. He also recalls a couple of boyish escapades connected with the arrival of the bexxiexa in the streets to the delight of small boys. 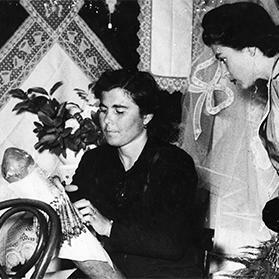 Carmel Vella from Siġġiewi recalls how the Imnarja used to be celebrated in the 1920s. The main attractions were (as they still are) the animal show at Buskett and the donkey and horse races at Saqqajja. As a child in his native village, one of the highlights was the return of the merry-goers who would throw apples, sweets and toys to children at the village’s periphery. 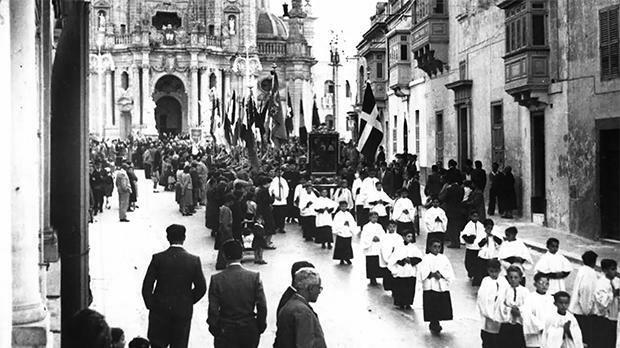 Anton Attard describes customs connected with the Easter processions in Vittoriosa, where until 1936 the statue of the Risen Christ used to be paraded around the city twice – once on Holy Saturday and once on Easter Sunday. There was a time when even the popular running with the statue was disallowed. One custom that has been discontinued is the casting of the għaġuża (old hag) from the steeple of the church of the Annunciation to mark the end of Christ’s sufferings on earth. The word quċċija, before it obtained its modern popular meaning, meant a sort of semo­lina cake with raisins, walnuts and almonds, and which according to de Soldanis came to be associated with a similar offering made during the celebration of a baby’s first birthday. The Maltese of Tunis seemed to have retained this tradition for the feast of St Lucy on December 13. Aurore Vérié gives more details on this exported folkloristic custom. Cumin used to be a major export from Malta involving notable sums of money. 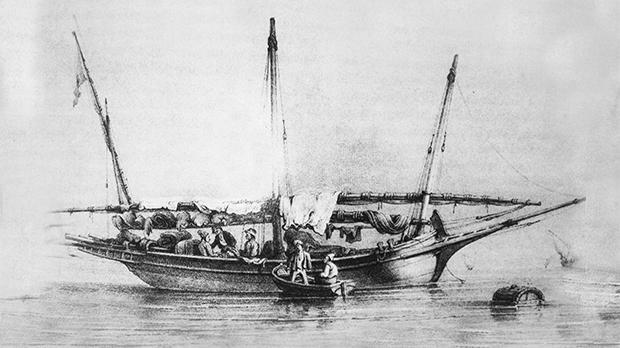 Nazzareno Azzopardi writes about a 1640 document of the bishop’s court listing the ex­pen­ses for carrying the cumin to Spain and the record of a court case to decide how profits from one particular export were to be divided. Ġużi Gatt, the editor of the magazine, adds a great deal of information about how cumin used to be cultivated. Joseph C. Camilleri recalls quite a few aspects of how carnival used to be celebrated in Tarxien in the past, beginning on the Thursday before carnival mostly by schoolchildren. It used to be very popular for young men to don sheets and go around the village streets as ‘ghosts’, very often as a means to ‘woo’ their sweethearts! Those who wore masks were told by the parish priest that they had a duty to attend the following Ħadd in-Nies pilgrimage in Żabbar to ask to be forgiven. In an article reprinted from an old issue, Rafel Bonnici Cali writes about several forgotten traditions connected with baptism, funerals and the MUSEUM society. Raymond Saliba writes about the history of fire in celebrations and the introduction of fireworks in the Maltese festa, with very primi­tive ones apparently being recor­ded in the Castrum Maris in 1429. For the first time in this issue readers are being asked to have a go at identifying an old photograph of a well-known place in Malta that has changed dramatically over the years. The photograph’s colourful depiction by Frank Schembri graces the front cover of the publication.